An aquarium is a small piece of nature that can be seen in many places, such as office buildings, restaurants, doctor’s offices, homes and classrooms. This glass enclosure provides opportunities for young children to visualize and learn about fish. 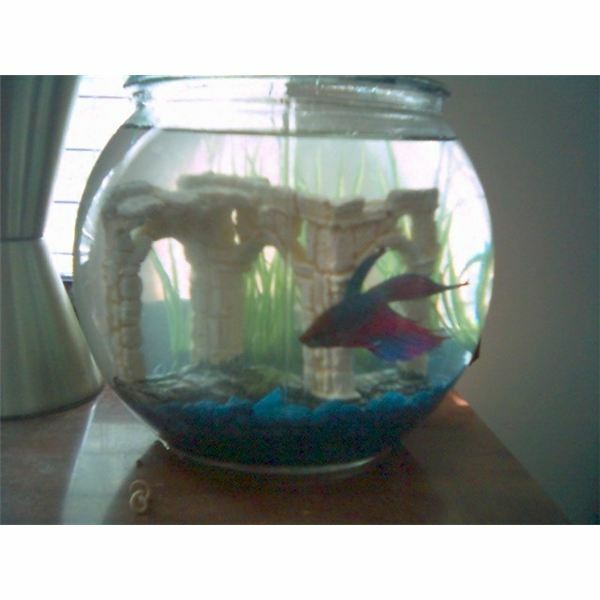 In school, use an array of materials to create a fishbowl art project. Your preschool class will enjoy any one of these projects or all if you wish to enhance your sea life curriculum theme. Make an aquarium from a round ice cream container. An adult can cut out a viewing window from one side of the container with a scissors or craft knife. Invite the children to paint the inside and outside of the container a pretty shade of blue. Let this dry thoroughly before continuing. Encourage them to draw and cut out sea creatures and sea plants from construction paper and glue these onto the inside walls of the container. Glue beach sand and small seashells inside if you wish. Finish by placing a small sheet of cellophane inside the container, covering the window and adhering it with tape. The children can view inside their aquarium from the outside window. Prior to class, draw fish shapes using a white crayon on white paper (one for each child). Invite the children to paint over the entire page with blue food coloring that has been diluted with water. Watch how the fish magically appear. Frame the painting by cutting out a fish bowl shape in the middle of the black construction paper. The teacher can draw the shape and let the children cut out the shape inside. Tape a piece of kitchen cellophane wrap on the back of the black shape. From the front, it will look like a glass fishbowl. Last, tape the fish painting to the back of the black paper so the fish appear to be swimming in the bowl. This is a craft that is fun to make and a delicious treat as well. Mix the softened cream cheese with a few drops of blue food coloring. Invite the children to spread this blue cream cheese on their slice of toast to look like the water in a fishbowl. Have them place several Goldfish crackers randomly on the toast. For a variation, you could toast English muffin halves for a round fishbowl and follow the same procedure. Explore the wonders of nature and sea life by trying one of these projects. Your students will enjoy constructing these projects in class. Reinforce the concept of aquariums and fish through the many books that are available in the library and bookstores. Or better yet, visit an aquarium as a school field trip.